Are you looking for dynamic equipment guarding for moving machine parts or mechanical pinch points? Dynatect manufacturers a wide variety of protective covers under the trusted Gortite brand. You are never locked into a particular style of way cover since we offer both fabric and metallic versions. Operating environment, space restrictions, and movement are key factors we base our recommendations on. The close proximity of moving parts often excludes the feasibility of static protective enclosures. 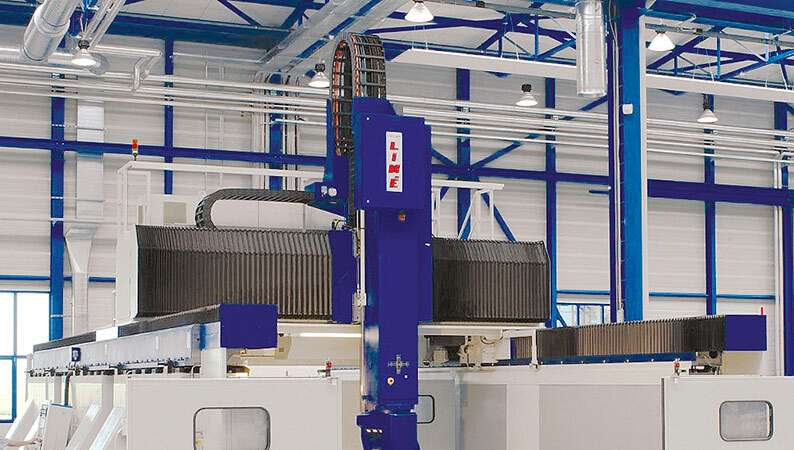 The machine tool may create an environment in which its parts must be protected from its work processes, yet need to move without obstruction. This is what likely sent you in search of a dynamic and flexible cover solution. Replacing critical machine components usually exceeds the cost of adding replaceable protective guarding, especially in the case of precision ways or ball screws. Which styles of way covers are available? There are flexible cover designs that can roll-up, bend, and flex to allow unrestricted movement through a dynamic range of motion. Protective covers are available in various materials and types. They can be polymer-based, metal, or fabric depending on the requirements of the application. Fabric Bellows are the most flexible for adaptation to high speeds and smooth-gliding applications. They are available in varying shapes, size, and materials including elastomer-coated fabrics, thermoplastics, and coated aramid fibers. Fabric Roll-Ups are capable of high-speed operation and are also available in many material options. They are ideal for travel paths with space obstructions that preclude deeper cover profiles. Our unique Gorplate Steel Sliding Plate Covers provide a low-profile option capable of high-speed operation and will endure weld spatter and hot chips. Aluminum Roll-Ups are constructed of linked extrusions to form a barrier against hot chips, coolants, and oils. Gordillo Bellows have a steel shield attached to each fold to protect against abrasives and liquids. Metalshielded bellows offer a low-profile alternative to telescopic covers. Metallic Roll-Ups are suitable for longer travels and wide spans, and heavy-duty Steelflex covers can be used as a walk-on surface for covering hazardous pits. Steel Telescopic Covers offer the ultimate protection for machine ways against dropped tools, abrasives, chemicals, and coolants. Telescopic covers can be refurbished, and wipers replaced as needed. What factors should be considered when choosing a protective way cover? For help selecting the right cover, a local Dynatect Rep can assist in measuring the cover, making recommendations, showing samples, and assisting in your quote request. Dynatect offers a comprehensive set of quote request forms to simplify the process of receiving a free quote on a way cover. Dynatect (formerly A&A) designs and manufactures protective covers, cable and hose carriers, mechanical motion control products, and molded elastomer products. Dynatect's brands include Gortite®, Gortrac®, Nylatrac®, and Polyclutch®. In Booth #121011 were showcasing new products for machine safety, precision ground ball screws, and cable carriers. The Gortite® VF Automated Machine Safety Door acts as a physical barrier to isolate process driven hazards from people and equipment. More about Dynatect Manufacturing, Inc.